Prolific author and entrepreneur Wes Moore visited the Franklin & Marshall campus this past Thursday, September 13, to speak at Common Hour with the title, “The Other Wes Moore: One Name, Two Fates.” Moore spoke of important events that shaped his life and offered inspiration for those in attendance. Many may know Moore for his work as an author. 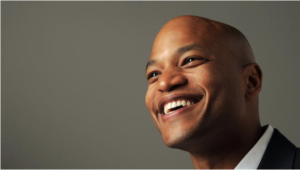 His debut novel, The Other Wes Moore, tells the story of two boys of the same name and same background who take completely different paths in life, with one becoming a scholar and the other facing a life sentence for murder. Moore shared insight into the title of the bestseller at Common Hour, explaining that he initially thought that it was the “dumbest book title.” After he argued to the publishers that the story was not just about the two kids and that nobody even knows who the “original” Wes Moore is, they explained that the focus of the title was on “The Other.” There are “Wes Moores” in every community, and each is one decision away from taking a completely different path in life. This relates to the charity work of Moore, who serves as the CEO of the Robin Hood Foundation, New York City’s largest poverty-fighting organization. And part of the organization’s initiative involves asking students what they do with their talent. Moore also gave an extensive background on the events of his childhood that shaped his mentality and attitude. This includes his only two memories of his father—the first being when his father told him to never put his hands on a woman, and the second being when he watched his father die. Moore was four years old in both instances. He and his family then moved from Baltimore to New York to live with his grandparents, and he got lost in the new setting. Moore explained that he was handcuffed for the first time while eleven years old, and that he hurt people who loved him. His mother sent him to the Valley Forge Military Academy, but he did not understand the system and tried to run away five times. This included a sergeant handing him a fake map to the train station so that his commanding unit could laugh at him as he ran in the woods aimlessly. A few years later, he and some football players started their own non-profit organization as college students after realizing that the organization they interned with did not help properly incarcerated kids with readjusting their lives. Moore then spoke to the audience about discovering their passions. To conclude his speech, Moore encouraged the student body to live interesting lives and work harder than ever before. The audience rewarded the speaker with a standing ovation at the conclusion of his speech, but this was not the end of the hour. During the question-and-answer portion of the afternoon, he offered a final thought from his debut novel.